Sometimes the best way to bring familiar people together is to explore the unfamiliar. Whether you’re organizing a corporate retreat, team-building trip or special event, inspiration and connection are key ingredients, best evoked by escaping everyday routines, exciting the senses with new sights and invigorating the body with activity. This is the essence of mountainside meetings at Hearthstone Lodge in Sun Peaks Resort. Surrounded by nature in its grand, untamed glory, yet conveniently close to the city of Kamloops, Sun Peaks is your premier destination for an unforgettable group getaway in the Southern Interior of British Columbia. A meeting at Sun Peaks is as much about connecting with nature as it is about connecting with each other. In the cozy Sun Peaks village, guests can dine together, relax together and head up the mountain together for skiing, hiking, snowshoeing, snowmobiling and a host of other outdoor activities. The wealth of outdoor fun at Sun Peaks is one of the most attractive features of the resort for team buildings retreats. In addition to having the third-largest ski area in Canada, Sun Peaks offers year-round recreation opportunities for all fitness levels. A world-class golf course, renowned mountain bike park, watersports-friendly lake and miles of scenic trails await. Best of all, the activities are all conveniently accessible and centralized, making it easy for guests to stay together and play together. 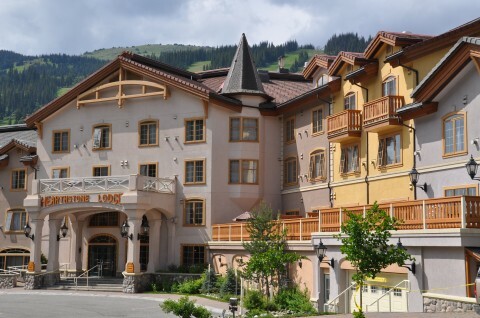 Offering of the only full-service meeting venues at Sun Peaks resort, Hearthstone Lodge is equipped to host seminars, conferences, fundraisers, banquets, receptions and reunions. Our stately 1,300 sq. 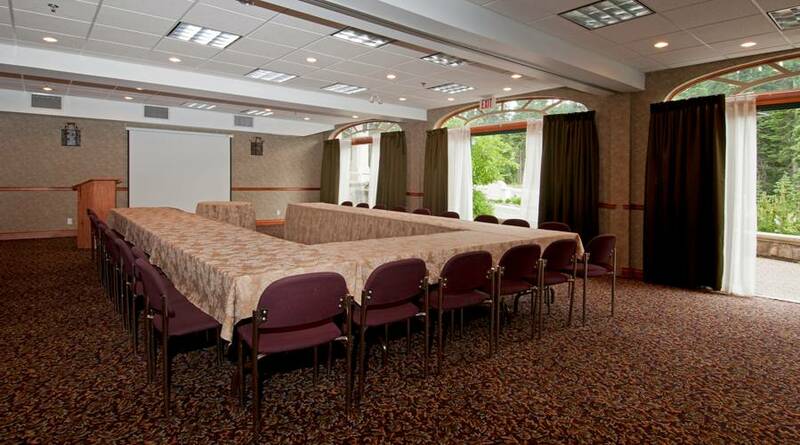 ft. Morrissey Room can accommodate 40 people in boardroom seating, 60 people in classroom seating, 90 people in banquet seating or 120 people in theatre seating and for receptions. Gourmet catering services are provided onsite for everything from coffee and snacks to elaborate buffets. Our all-inclusive meeting packages start at just $49 per person which includes breakfast, coffee & snack breaks, and a business express lunch. And just because you’re getting a great deal doesn’t mean you’ll have to sacrifice great service. From start to finish, our professional staff are here to assist you in planning and executing an event that lives up to your expectations. For more information and to get started planning your meeting or retreat at Hearthstone Lodge, contact our general manager, Trevor Carr, at 250.578.8588 orgm@nullwww.hearthstoneresorthotel.com.